How did everyone's gun deer opener go? I was in the northern forest about an hour south of Ashland, WI. Saw lots of does and spikes, but none of the spikes were worth harvesting. My deer camp ended our hunt early yesterday morning. Around 7:50 AM, a large pack of coyotes wouldn't stop yelping and circling our tree stands, so we fired some shots into the air and high tailed it to the four wheelers. I hope everyone else had a safe and successful hunt! Been kinda a slow start this year. There's hardly any deer hunting widows to be found in the bars so far. I expect things to pick up a bit after Thanksgiving. 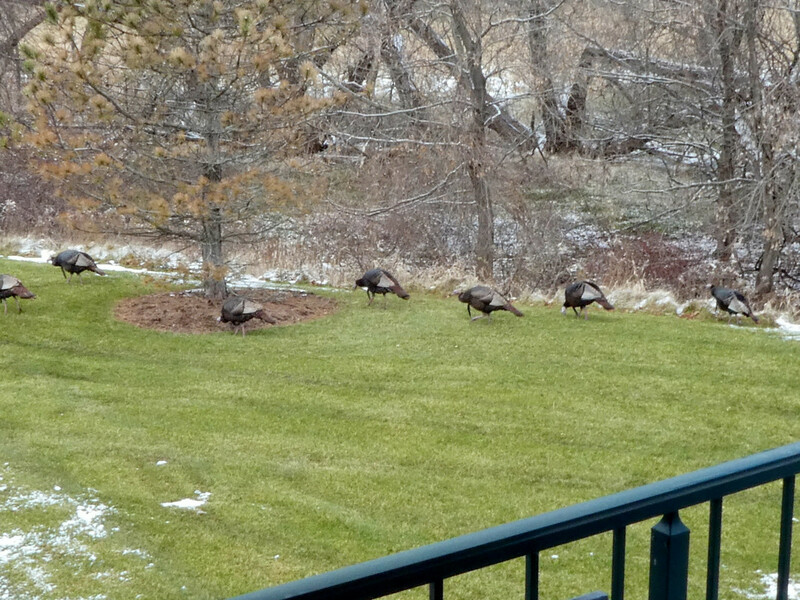 I watched these guys walk through the yard yesterday afternoon. Rapped on the patio door glass, and they hardly even looked up. Not uncommon to see deer there too, eating bird seed that fell out of the feeders. There might be more deer here in the Milwaukee suburbs than in most of the rural areas of the state. I hunt in Minnesota so a week earlier, but we had a good hunt. Not a giant, but a nice 8-point. Fun morning on the stand they day I got him. Saw several deer, and had this buck and a doe do laps around me in the brush for half an hour before the doe finally ran across a shooting lane. Figured he wouldn't be far behind, and sure enough, a couple minutes later he came down the same trail about 60 yards out. One shot, he ran 30 yards and went down in a heap. Easy drag out too. Right down a snowy hillside to the edge of a field. Was almost too easy. Pulled him over a log, he slid forward and took my feet out. Went down on top of him and got to go sledding about half way down the hill. Never gone sledding on a dead deer before. Congrats on the 8 pointer OTC. That's a great looking deer and glad you had your first sledding experience haha! 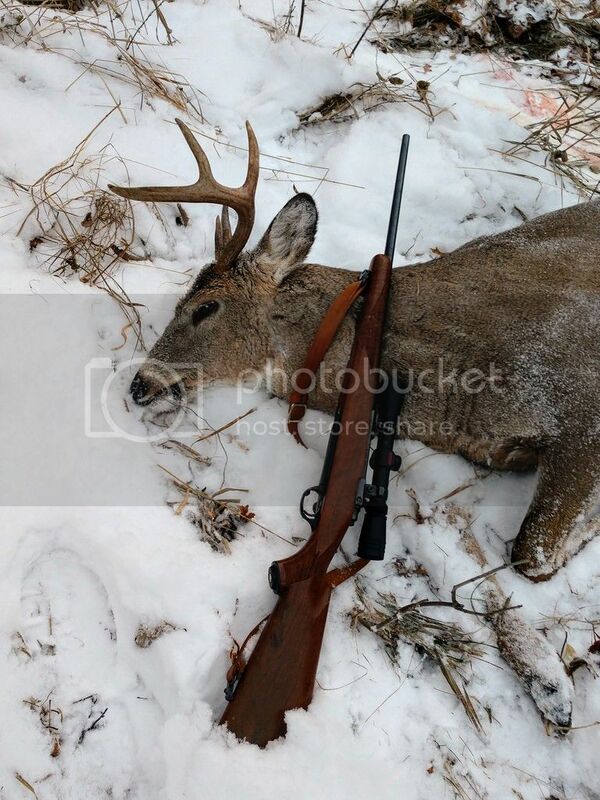 Its been a very subdued deer season over by me and my fam. We got more than a few of these albino "ghost" deer bouncin around. These crazy basterds are takin camouflage to the next level! 2 users thanked sasquatch for this useful post. Got a nice 7 opening morning, saw the Large deer we have been watching on cam and had a misfire when the trigger was pulled, bolt not all the way closed on automatic.